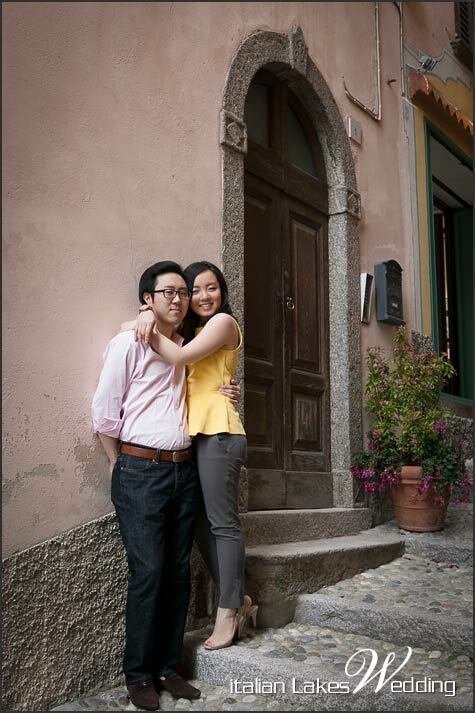 oday we are pleased to introduce one of our lovely couple Arum & Seok. Arum and Seok are both Koreans but they both live in New York. 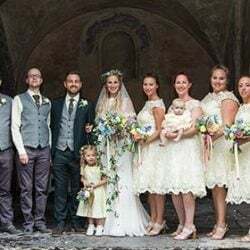 They just love Italy, our food, our landscapes and they literally fell in love with Lake Como. 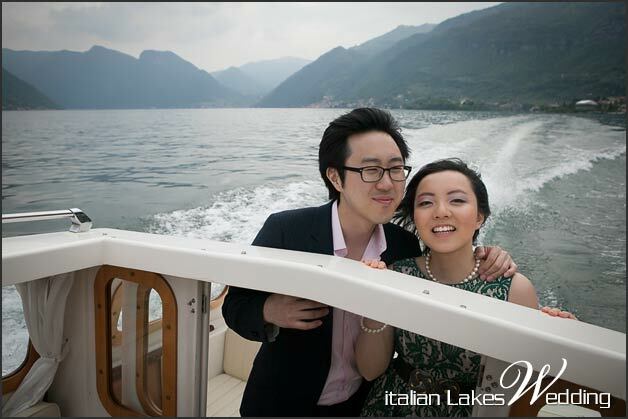 There is something about Lake Como that is different from any other place, we do agree with them! 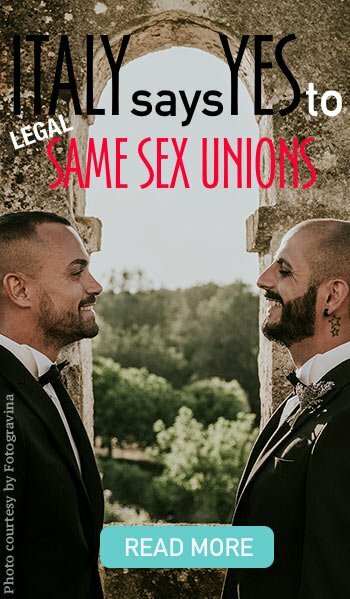 They planned their engagement photo session and their wedding just here in this wonderful corner of Italy. Seeing an engagement session of a lovely couple who will soon get married is very exciting! 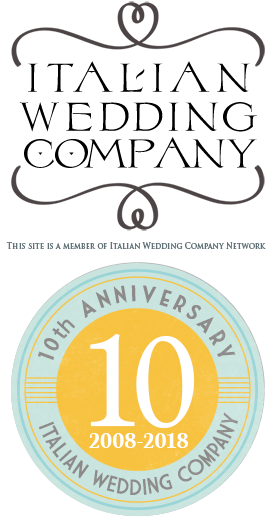 Massimiliano Morlotti did a great session and you can have a look to his great work on tis post. 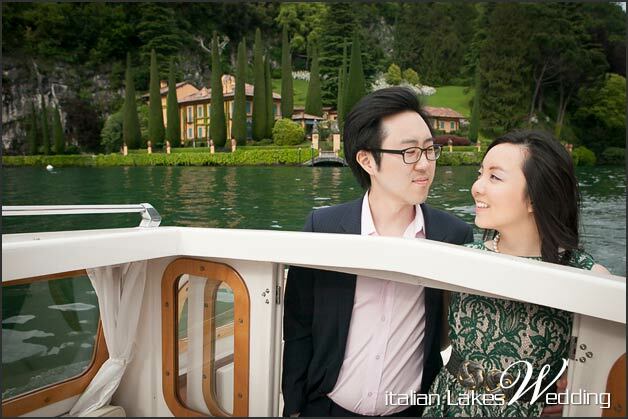 Arum and Seok will get married late September this year in magnificent Villa del Balbianello. 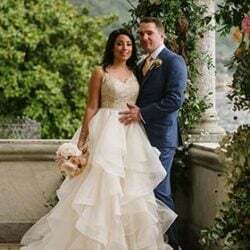 Since they keep Villa del Balbianello for their special day, they decided to explore the area of Bellagio for their engagement photo session. 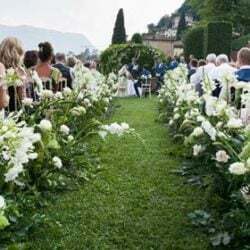 Bellagio is one of the most enchanting villages of Lake Como. Here you can see beautiful villas, a great landscape and elegant boutiques all along the beautiful porticos. 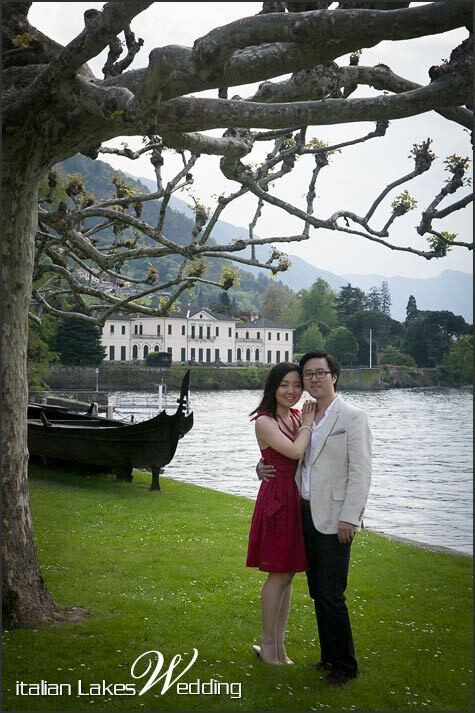 Massimiliano Morlotti took great pictures of Arum and Seok at Villa Melzi, along its gardens, buildings and small temple. 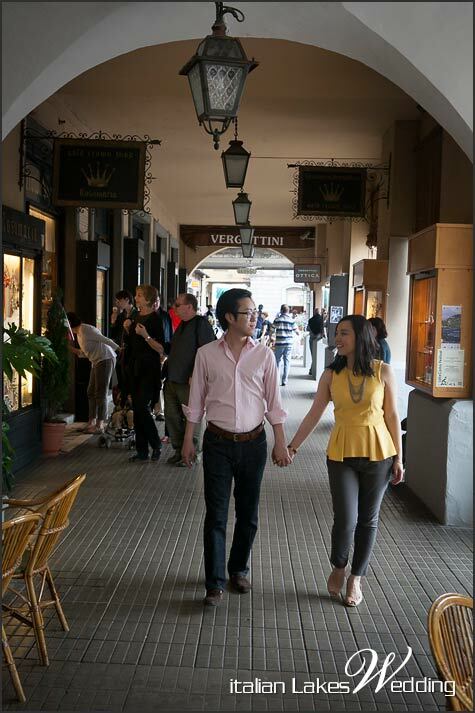 Seok and Arum had a just the perfect style, very natural! 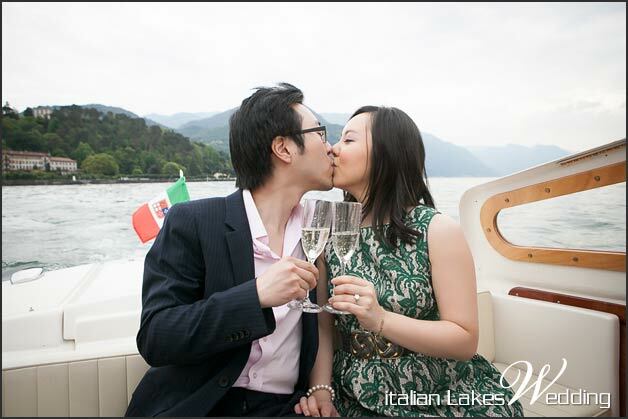 Before leaving Bellagio on a typical taxi boat they got changed to be ready for a romantic champagne boat trip. 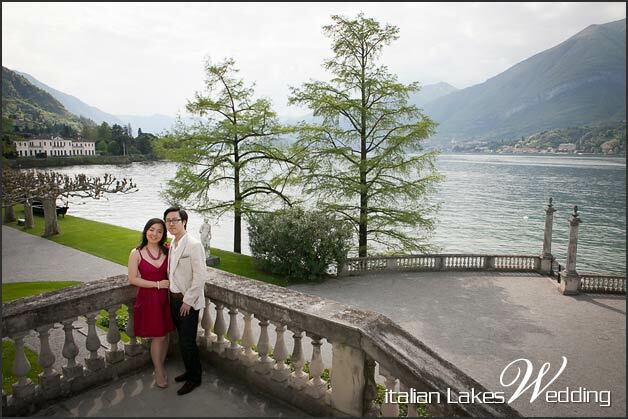 Lake Como is always great by its waters. The view and the the beauty of the Villas you can see along the way are always breathtaking. 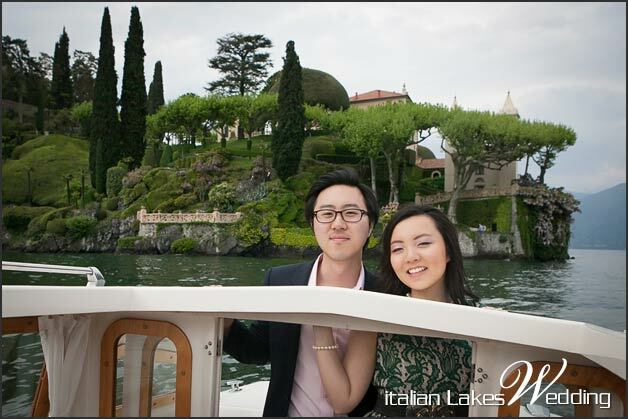 And we cannot forget Villa del Balbianello! If you look at it from lake is just incredible! 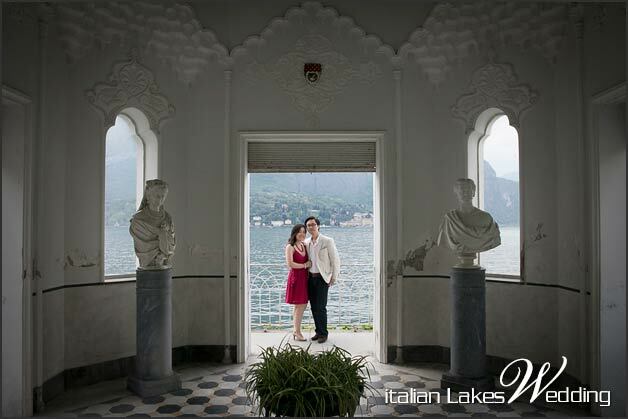 Villa del Balbianello hides another wonderful villa. 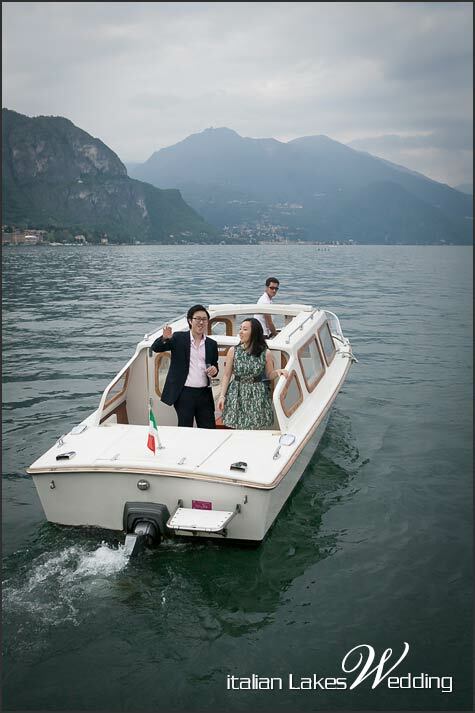 This is owned by Richard Branson and it is clearly visible behind Arum and Seok! 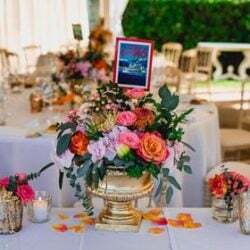 The Villa can be rented for small groups for their accommodation and also for a small wedding party too. 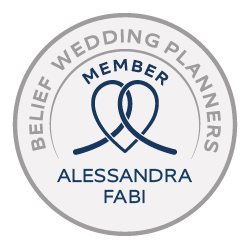 We will be honored and pleased to help you plan an unforgettable wedding on our Italian Lakes. 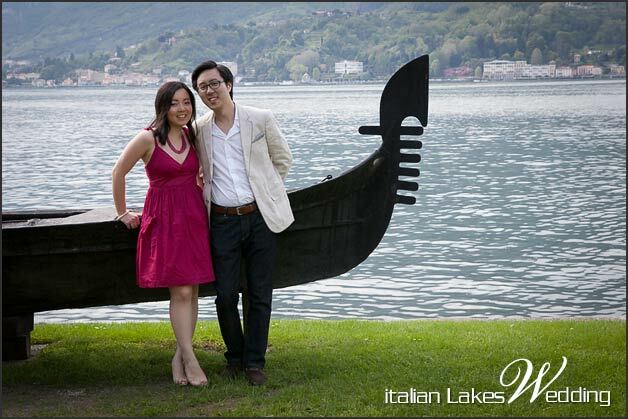 A special thank to Studio Morlotti for its lovely tribute to lake Como. 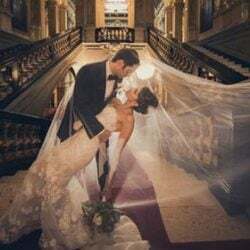 Keep on follow our blog: Arum and Seok will be soon husband and wife!